As you know, grassroots support for Representative Cal Bahr’s rock-solid Constitutional Carry bill (HF309) has been SURGING across the state for the last several weeks. Minnesota Gun Rights’ members and supporters like you spent weeks filling out petitions, making phone calls and sending emails into the Public Safety Committee demanding a hearing and vote on Constitutional Carry legislation (HF309). That’s why we were concerned when we saw House Leadership under Speaker Kurt Daudt and Majority Leader Joyce Peppin direct the Public Safety committee to instead hear HF188, a weaker version of Constitutional Carry. You see, the idea of Constitutional Carry is quite simple. It removes the requirement for a permit to carry a firearm for self-defense, and then makes a permit to carry a firearm optional for those who want one for reciprocity purposes. In other words, it gets government out of the business of regulating the Right to Keep and Bear Arms and removes taxes, penalties and fees. And normally, it removes the “duty to notify” an officer that you’re carrying a firearm, much like you don’t need to notify government that you’re exercising your right to free speech or your right to assemble, like at church. But after yesterday morning’s hearings, Constitutional Carry is in very muddy water. We had been hearing rumors of heavy-handedness from House Leadership for several weeks. That heavy-handedness became evident throughout the debate over anti-gun provisions in the Dangerous ID compliance bill. But worse were the rumors of backroom deals Speaker Kurt Daudt and Majority Leader Joyce Peppin were willing to make with the anti-gun lobby groups like MN Police and Peace Officer’s Association and their lobbyist, Dennis Flaherty. Those rumors proved true immediately after the hearing for HF188 started when Representative Jim Nash buckled under their pressure and re-added the “duty to notify” clause into the Constitutional Carry bill. In other words, Rep. Nash threw the anti-gun lobby a whole T-bone steak. What this means is that if you’re pulled over by a police officer for a traffic violation you may still be required to notify the officer that you’re carrying a firearm. Now, that doesn’t sound so bad on the face of it, right? Seasoned, experienced police officers we’ve been in communication with say that such an unconstitutional policy is likely to create avoidable scenarios of confrontation with law abiding gun owners. They’ve stressed to us that an 11pm traffic stop on the side of the interstate can needlessly “go bad” if a well-meaning gun owner phrases his “declaration” poorly or mis-communicates his intentions and unnecessarily sets the peace officer on edge. According to them, violent criminals won’t comply with the “duty to notify” clause anyway! Imagine the disaster that would ensue if anti-gun radical Minneapolis Police Chief Janee Harteau was empowered with this version of Constitutional Carry! As a personal friend of former President Barack Obama and former Attorney General Eric Holder, she could quickly issue a directive to her entire police force to start stopping and running background checks on every law-abiding gun owner they come across! That’s why state after state that has passed Constitutional Carry has almost never had this dangerous clause in the bill. After all, if it’s your constitutional right to carry a firearm, you should have no obligation to inform anyone that you’re exercising that right. Instead of standing tall for gun owners and voting to pass Constitutional Carry out of the Public Safety committee in a stand-alone bill, it was laid over for “possible consideration” on the Public Safety omnibus bill. “Possible Consideration” is simply St Paul insider speak for DEAD-AS-A-HAMMER. After all, just this week our neighbors to the south, spearheaded by our sister organization Iowa Gun Owners, passed a sensationally pro-gun law through their House with no weakening amendments. Why won’t Speaker Daudt and Majority Leader Peppin do the same thing here? We clearly saw yesterday that these politicians are scared of you and they’re scared of mobilized, activated gun owners. They didn’t want to vote Constitutional Carry down because they know that that would spell doom for their stranglehold on power. Instead, they “laid it over” in an attempt to string us along on the hopes that there might be a chance, a small possibility that they could possibly maybe pass something, sometime down the road as long as you keep giving them your votes, volunteer time and donations. You and I gave them these majorities so that they would PASS substantive pro-gun bills – not try to spin us to protect their political careers. >>> Remove the “duty to notify” from the bill! >>> Put Constitutional Carry on the floor for a full vote! They’ll try to spin you – don’t believe them (they’re politicians)! They absolutely have the power to pass Constitutional Carry out of the House and into the Senate. 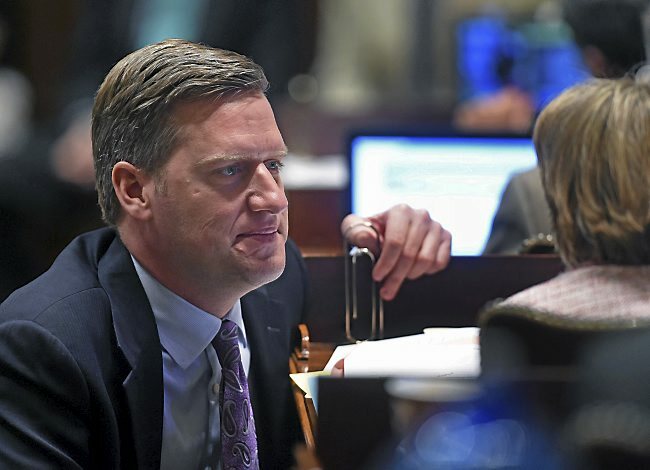 Lots of organizations who have no comprehension of grassroots politics line up to seek the praise and adoration of Speaker Daudt even when he does nothing to advance your gun rights. We witnessed that in spades yesterday at the committee hearing for Constitutional Carry. But Minnesota Gun Rights is radically different. We don’t exist to be praised and loved by politicians. And we don’t play party politics. We exist to protect and advance your gun rights – PERIOD. So if the leadership of the MN legislature won’t advance our gun rights then we’re going to hold their feet to the fire until they do – no matter what. So when you’re done contacting the list above, please feel free to support the work of Minnesota Gun Rights by chipping in $10 or $20 right away! Either way, please contact the legislators listed above immediately, that’s most important! P.S. In a last ditch effort, a “duty to notify” clause was added to Constitutional Carry in the House Public Safety Hearing yesterday. It was a straight up “gimme” to the anti-gun lobbyists at the MN Police and Peace Officers Association and their thug lobbyist, Dennis Flaherty. Worse, instead of an up or down vote on Constitutional Carry, it was laid over for “possible consideration” on an omnibus bill. This is very bad news for Constitutional Carry. After gun owners did the heavy lifting during the elections and placed these majorities in power, sandbagging this bill is unacceptable! Please contact the House leadership listed below and tell them to remove the “duty to notify” and put Constitutional Carry on the House floor for a full vote! When you’re done, please consider chipping in just $10 or $20 to help keep our legislative program running strong to force action on Constitutional Carry.